2015 had been a glorious year for Gor Mahia. Besides 1987, it will go down as one of the most memorable season’s in the club’s history. It was going to be difficult to emulate the success of 2015. However, Kogalo fans were still hopeful for a successful season in 2016. It was not to be however as the 2016 season will mostly be remembered as a letdown season with numerous self-inflicted wounds. The season started on a promising note with Gor Mahia touring Ethiopia and Sudan and beating all the local teams including Al Hilal, the Sudanese champions, who have reached the group phase of the Africa champions league numerous times in recent years and who had beaten Gor Mahia 5-0 in a friendly match at Nyayo stadium in 2009. Prior to beating Al Hilal, Gor Mahia had beaten St George of Ethiopia on penalties. They won the St George cup which was to celebrate the 80th Anniversary of St George’s. It was a notable achievement because Gor Mahia were playing away to hostile fans and still won. It was also notable because St George had just won the Ethiopian league three times in a row. And in 2013, when ENPPI of Egypt eliminated Gor Mahia in the CAF Confederation cup, they went on to lose to St George. With such an impressive pre-season record, it looked as if Gor Mahia were on their way to another successful season and might actually play better in continental football. Gor Mahia had gone three seasons without a title sponsor and still won three succesive league titles. Finally in January of 2016, Gor Mahia landed a title sponsor for the third time in the club’s history. Sportpesa, the betting firm, stepped forward to sponsor Gor Mahia and AFC Leopards. In addition, Crown Beverages was announced as a secondary sponsor for the club. (It is not clear what happened to this deal). Elliott Breads finally got exclusive rights to distribute Gor Mahia bread, promising bigger returns then the previous distributor. And Gor Mahia launched other initiatives such as Gor Mahia water, Goma lotto in addition to the Gor Mahia SACCO that was launched months earlier. 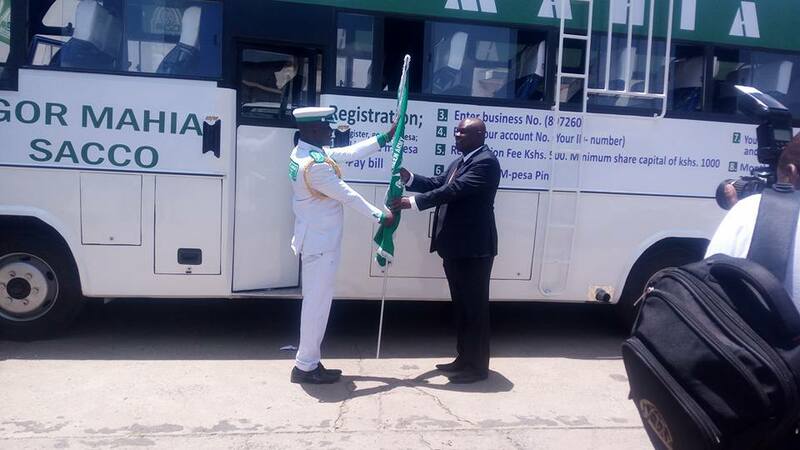 And in February, Gor Mahia SACCO launched its first bus. Late in February, Gor Mahia signed a kitting deal with Italian company Legea worth Ksh 15 million. It seemed that Gor Mahia’s problems would be a an issue of the past. All this was notwithstanding the fact that certain Kogalo players had not reported for pre-season training. Geoffrey Walusimbi, Khalid Aucho and Innocent Wafula were all still holidaying in Uganda. And Wafula’s whereabouts were completely unknown as he had not contacted the club. By the time Gor Mahia played the Super cup against Bandari on February 16, neither Aucho nor Wafula had reported to camp despite ostensibly still receiving a monthly salary from the club. Indiscipline would further take its toll on the club during the second leg when Collins Okoth “Gattuso” fell out with the coach and was sidelined for several matches. Aside from missing players, Gor Mahia had also lost all their leading scorers from the 2015 season: Michael Olunga left for Sweden. Meddie Kagere declined to renew his contract, holding out for a better deal and Ali Abondo left for South Africa after having failed to convince the club to raise his salary. Inspirational assistant coach and club legend Bobby Ogolla soon left the club to pursue the head coaching position at City stars. Frank Ouna, also an assistant coach soon followed him out, citing frustrations from the EC. Prior to the end of the 2015 season, chairman Ambrose Rachier had negotiated a deal with Frank Nuttall in which the Scottish coach would take a significant pay cut which would basically halve his salary. But when Gor Mahia landed a title sponsor, Nuttall said that halving the salary was supposed to be a temporary measure until Gor Mahia found a sponsor and this insisted on receiving the full due from his contract as any self respecting coach would. However the Gor Mahia EC would have none of it. This despite the fact that Nuttall had steered the club to a superb season and looked set to repeat the same given the excellent pre-season that the club had just engaged in. The net result was an internal squabble between chairman Rachier on one side and Nuttall on the other with each side refusing to give an inch. The infighting took its toll on the playing unit. And what looked like a promising season soon begun to take a nose-dive. Matters came to a head when Frank Nuttall was held up at his hotel due to unpaid bills. Days later he announced to the dismay of fans that he had been fired by Rachier, prompting a firestorm by fans. Rachier and the EC would later backtrack. But by this time the damage was done. With Rachier and Nuttall now not on speaking terms, what was previously a demoralized playing unit became undisciplined. Custodian Boniface Oluoch openly disrespected Nuttall prompting the coach to drop him from the starting line-up. In February, Gor Mahia traveled to Mombasa to play Bandari in the 2016 super cup. 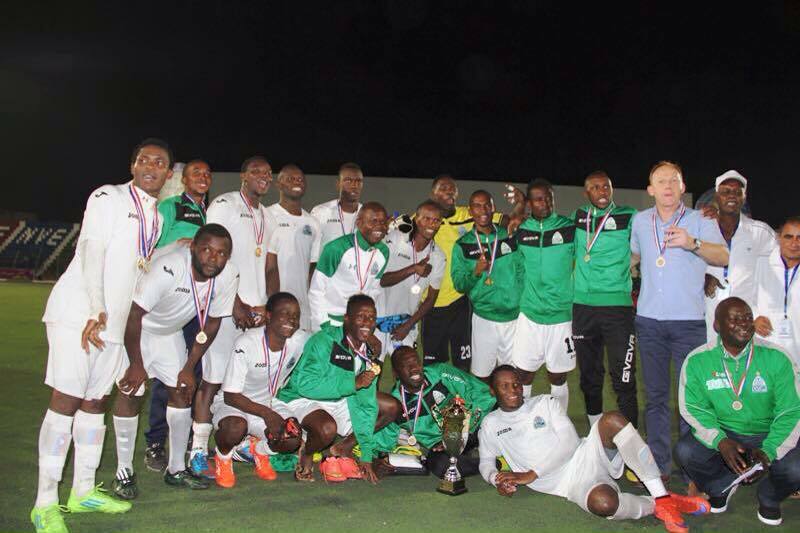 Gor Mahia lost 0-1 and at the end of the match the players refused to pick up their runners up medals. Worse still, two players ended up in a police cell after engaging in a fist fight at the airport. A successful tour of Ethiopia and Sudan was supposed to prepare Kogalo for their continental assignments. But with three key players missing the pre-season and with indiscipline creeping into the playing unit, things started to look grim. Also due to lack of attention from club officials, some key new signings were not registered for continental football including Jacque Tuyisenge, Francis Kahata and Luke Ochieng. Gor Mahia started their league campaign on a sour note. There were three succesfive draws to start the league against Posta Rangers, Ulinzi and Chemelil Sugar. When Gor Mahia lost their 4th match to arch rivals AFC Leopards by a score of 0-1, matters finally came to a head. Coach Frank Nuttall finally decided that he had had enough and left without even informing the playing unit nor club officials. he would later surface at Zamalek of Egypt as an assistant coach to Alex McLeish. “As a director of football, I am not involved in hiring, releasing and disciplinary of players and assistant staff. This has affected the performance of the club,” Nuttall wrote to the club’s management. Other grievances cited by the Scott include unprocedural termination of his contract on February 4, a decision that was later revoked. “Lastly, the executive committee has continued to make negative and undermining comments in the media, including those relating to team selection. In the circumstances, I believe the club is no longer able to make my work and performance possible at the club,” he said. On march 16, Brazilian José Marcelo Ferreira aka Ze Maria popularly known as Ze Maria was announced as the new head coach. By this time Gor Mahia were in 13th place in the league standings. The arrival of Ze Maria seemingly rejuvenated the club for a brief period. Gor mahia ended the first leg winning 7 matches, losing one and drawing one. For a moment, they scaled to the top of the standings only to be brought down to second place by a IDAC decision to deduct three points due to fan hooliganism. A moment of madness from some Kogalo fans would come back to haunt the club. It was an unprecedented decision given that no team had ever lost points due to hooliganism and Gor Mahia being the away team were not responsible for security on this particular day. As the first half of the season came to an end, midfielder Khalid Aucho left for trials in Scotland, leaving a gaping hole in the midfield. Aucho had been one of the most pivotal cogs in the Kogalo setup for the past two years with his ability to win midfield battles and link up effectively with the attack. He had been voted KPL player of the month for May. His departure was felt as Kogalo started the second leg of the season with 5 draws and only two wins. The mid-season transfer period saw the return of Rwandese striker Meddie Kagere who had left the club in December of the previous year. Gor Mahia also signed a Brazilian striker Thiago Silva who had previously played in Macao. Yet the Brazilian did not feature for the club as Gor Mahia had already reached the allowed quota of foreign players. Other mid-season acquisitions were Wellington Ochieng, Anthony Mbugua, Baron Jobita and veteran Crispin Odula who was touted as Aucho’s replacement. Odula who had previously been playing in the Finnish league, never featured in the Kogalo line-up. To make matters worse, the ever indisciplined Collins Okoth Gattuso, fell out with coach Ze Maria who refused to field him in matches. This left Gor Mahia short-handed in the defensive midfield position. Gor Mahia’s below par performance in the premier league carried over into the GoTV shield. After having dispatched lower tier sides Mahakama and Nairobi Stima 3-0 and 2-0 respectively, Gor Mahia succumbed to a shock 0-1 loss to Nzoia United who at the time were leading in the second tier league. Things were not getting any better as assistant coach Mathew Ottamax fell out with coach Ze Maria and took his feud public posting incendiary comments against the coach on his social media pages. Both club chairman Ambrose Rachier and Ze Maria would later state that Ottamax was never fired. A few days later Ottamax resumed his duties as goalkeeping coach. 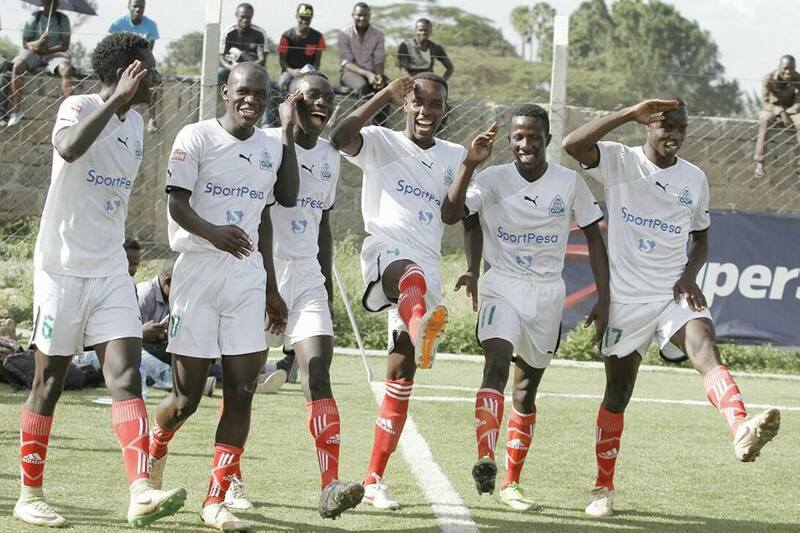 Gor Mahia hopes for silverware were further dashed when the U-19 team lost to Mathare United in the KPL U-19 finals. In the meantime, a fight was brewing between the Gor Mahia Fans foundation and the club’s executive committee. The foundation had created the U-19 team in 2014 but the EC wanted the foundation to cede control of the U-19 team. As a result the U-19 team was starved of cash and fans often had to conduct impromptu harambees for the team. “Some of the players have been forced to trek long distances to and from training sessions. It is very perplexing to see fans collecting money to offer something to the players after matches. A 2-0 win over arch rivals AFC revived Gor Mahia’s title hopes. Eric Ouma was man of the match. Nevertheless Gor Mahia never gave up hope of catching league leaders Tusker. In October, Gor Mahia recorded an important 2-0 win over arch rivals AFC Leopards. It was the first time Kogalo had won the mashemeji derby since 2013. The goals came from Enock Agwanda who converted a cross from the left wing and Meddie Kagere who scored from the penalty spot. Gor Mahia would win their next two matches against Mathare and Muhoroni Youth. Those wins would leave the 2016 KPL open until the 29th round. Gor Mahia now needed Tusker to trip up. If they did, the last match against Tusker would have been the decider of who wins the league. Unfortunately Tusker would win their round 29 match and seal the league title with one game left. Thus the last match against Tusker was a mere formality and Gor Mahia played with no motivation and ended up losing 0-1. It is fair to say that being deducted three points cost Gor Mahia the league. Had they not been docked three points, they would still have motivation to win their last match. They would have put up a stronger fight and possible wrested the title from Tusker. In the end, Gor Mahia finished 2016 with no notable trophy. The only trophies they won were in the pre-season tournaments in Sudan and Ethiopia. Gor Mahia had not held elections since 2014. The long-awaited elections were finally held on December 11. Ambrose Rachier retained the Chairmanship, garnering 579 votes against Okech’s 220. Former Gor’s Secretary General Chris Omondi had 157 votes. After a bitterly contested election, Rachier vowed to unite the club and implement a new constitution. 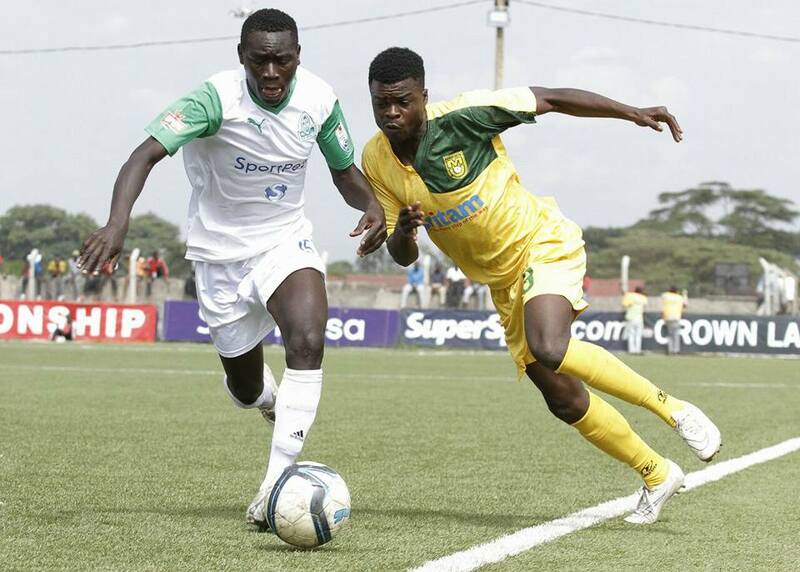 Gor Mahia U20’s run in the KPL U20 tournament came to an end when they lost 1-3 to Mathare U20. The match was highly competitive and the scoreline is not a true reflection of the match. Mathare United is the same team that beat Kogalo Youth in the final of August edition of the tournament. It was Gor Mahia who struck first through Hillary Ojwang. The Kogalo lads dictated the pace in the first half, created many chances but wasted them. That would come back to haunt them as Mathare came back stronger in the second half. Ahmed Abdalla equalized for the slum boys and John Mwangi added a brace to seal the Mathare win. 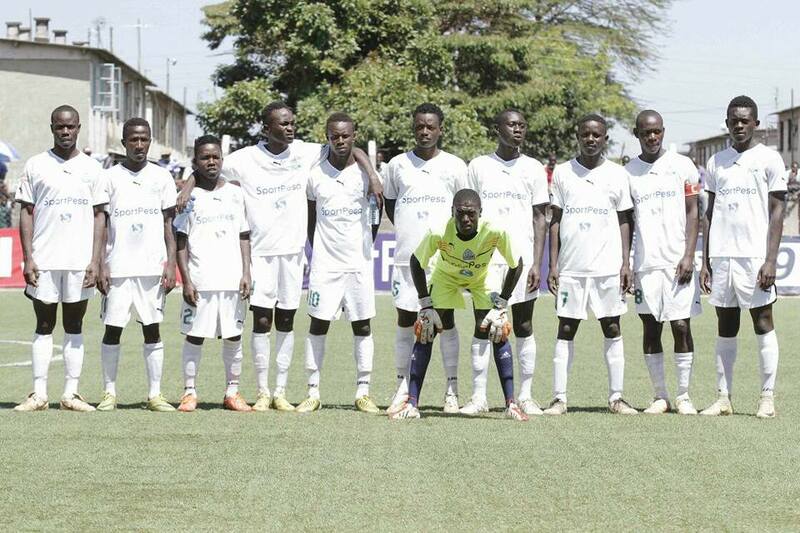 The Gor Mahia Youth team continued their march towards the KPL U20 title when they beat Muhoroni Youth U20 1-0 in a quarter-final match played at Camp Toyoyo on Tuesday. The soliatary goal came in the 80th minute. 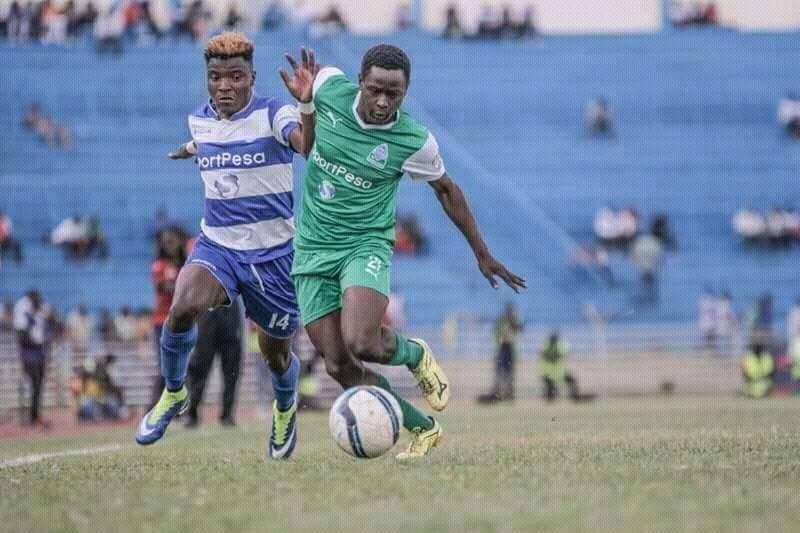 Edwin Musyoki grabbed the match winner within four minutes of entering the field of play as Gor Mahia downed Muhoroni 1-0 in the KPL U 20 quarterfinal clash played this Tuesday at Camp Toyoyo. Gor Mahia were slow to assert their dominance in the match as Muho forceda couple efforts on target. Gor’s best chance saw a tricky curling effort from Hillary Ojwang stinging the crossbar on its way out in the balanced first half action. Muho kicked the second half on a double change with Kamau Peter and Andrew Victor sent on but the first half slow encounter proved the case in the early exchanges of the final half. The first chance at goal however fell on Gor. Teddy Osok beat his marker but his deft cross close range got cleared despite causing a brief confusion at Muho’s goal mouth. Gor’s mounting dominance almost paid off at the hour mark but keeper Taribo West did well to turn behind a fierce shot from Hillary Ojwang. Alexander Abok was next in the guilty list as he poked over the bar from close range as Gor Mahia got of the hook at the far end. Nashon Thiong’o should have scored from arguably the games best chance but the competition’s joint top scorer went for far too much after beating the keeper, allowing Muho back line to clear their lines for a corner. Gor Mahia opted to rejig the team a bit as a Teddy Osok, visibly on his last legs was replaced by Edwin Musyoki. A move that would pass for a normal build up play later saw the new entrant pick up a backward pass from his captain Alpha Onyango, it however turned the master stroke that unlocked the clash. The midfielder had perhaps noted of the keeper’s struggles in dealing with first time shot and when his 80th minute shot from range proved the case as it slipped between the keeper’s grasp . Muho intent was well blunted by the late goal and Gor’s quest for doubling the result ended with another chance crashing off the bar. The victory was ultimately realised as Gor claim a semid spot for the third time of the competition. I would like to take this opportunity to wish all Bloggers and indeed all supporters of Gor Mahia FC a merry Christmas, happy new year and success in all your endeavors in 2016. May you continue to support Gor Mahia in 2016 and find success in your lives. Below is a list of bloggers who posted in 2016. Apologies in advance to anyone mistakenly left out. Gor Mahia are currently holding talks with highly rated Rwandese midfielder Jean Baptiste Mugiraneza. This according to a report by the Daily Nation. 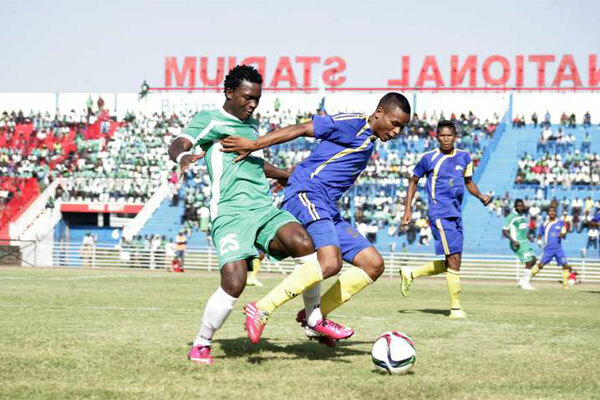 Mugiraneza, who is 26, is a free agent after his contract with Azam of Tanzania lapsed. Gor Mahia need a midfield enforcer who can play the role that was previously played by Khalid Aucho and Geoffrey Kizito before him. “His demands are acceptable and he is a quality player although he hasn’t played competitively for a while. We want to win the title next season and to achieve that, we need quality players,” a club official told Nairobi News in confidence.” said a Gor Mahia official. Popularly known as “Migi”, he started his career in 2007 at SC Kiyovu. He subsequently played for APR then Azam of Tanzania. He has also featured for the Rwanda national team. He was in the starting line-up for Rwanda when they that almost beat Ghana in an AFCON qualifier in September of this year in Accra. The game ended 1-1. Mugiraneza won six league titles, seven Peace Cup trophies and two CECAFA Kagame Cup titles (2007 and 2010) with APR FC. He spent 18 months at Azam. He was in the starting line-up for most of 2016. He picked up a calf injury in May but returned to regain his spot in the line-up. He last played for Azam in October of this year. He was released by Azam this month to make way for a Camerounian defensive midfielder. 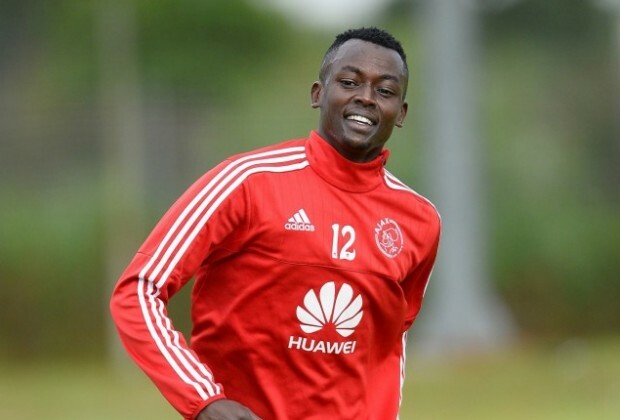 “I was surprised when the club informed me that I was no longer in the club’s plans and that I was free to look for another team.” he said to Rwanda times. Gor Mahia has already reached their full quota of foreigners which includes other Rwandese players Jacque Tuyisenge, Abouba Sibomana, Meddie Kagere plus Ugandan Geoffrey Walusimbi and Burundian Karim Nizigiyimana. One of them would need to depart. Fans will be hoping that the club will subject him to medical and fitness tests which they have not done with previous signees like Jerry Santos, Crispin Odula and others who ended up never playing for the club. Gor Mahia’s slow start to the KPL U20 tournament will soon be forgotten as they have now won their second match in a row and won convincingly. Hillary Ojuang bagged a stylish hat trick as Gor Mahia U20 powered from a goal down to thrash Ulinzi Stars U20 5-1 in an enthralling clash played this Wednesday 21 December at Camp Toyoyo. The Soldiers were the first to strike but were left to struggle against a marauding display from Maurice Onyango’s charges who three second half goals with Nahashon Thiongo claiming a brace in the big win. Gor Mahia started off the better side and dominated the game that kicked off on a rather tough tackling note. Its Ulinzi Stars who hit the front first with following a Mohammed Mahmoud Maqbull corner kick that was nodded in for the Warriors early opener. The strike did less in suppressing Gor’s onslaught with Hillary Ojuang coming close with a deflected effort before Stephen Otieno’s swerving strike also veered off wide. There was no denying the latter when his strike slipped through keeper Brian Bwire’s grasp to level matters. The marksman extended Gor’s lead minutes to the break, slotting into an empty net after Nahashon Thiongo danced past his marker and the keeper to set him for an easy tap in. Francis Martin had Ulinzi’s best chance after break but could only sky his effort from the right flank delivery. Soldiers wastefulness went on as another one on one wasted chance. Gor unleashed Amos Nondi in latter stages of the final half and one of the senior team member combination with Teddy Osoko almost saw the team 3-0 only for Teddy to blaze wide. The Nairobi Stima man was next to birth a promising move that ended with Ojuang’s going within inches of a hat trick only to be denied by the upright after beating the keeper. The was still time for Ojuang to complete his hat trick after capitalizing on a defensive lapse to poke past Bwire before Thiongo adorned the score line further with a late brace to add his group stage tally to four. The win saw Gor Mahiua advancing as Group winner with Western Stima who held Posta Rangers to a 1-1 draw alos securing a knock out stage slot. Ace central defender Jockins Atudo is said to be very close to completing a move to Gor Mahia. According to the report on futaa.com, Gor Mahia is offering Atudo a good offer: 1.5 million signing fee and a monthly salary of two hundred thousand. This is the second time Gor Mahia is pursuing Atudo who is currently a Posta Rangers player. He has previously played for Tusker and Azam and has had several stints in the national team. Atudo who is 31, was born in Homa Bay area. he played for Otieno Oyoo secondary school along with Ali Abondo. They both soon joined SoNy Sugar FC. He starred in the Harambee stars side that won the CECAFA cup in 2013, scoring three goals. Atudo will add depth and experience to the central defence position which now has Harun Shakava and Musa Mohamed as the two reliable players. 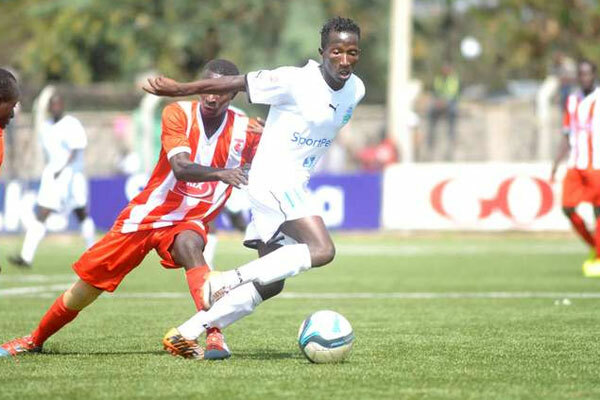 Another player who may be returning is former AFC Leopards skipper Jackson Saleh. His 6 month loan at Ingwe ended and the club has indicated that they will not renew the loan. 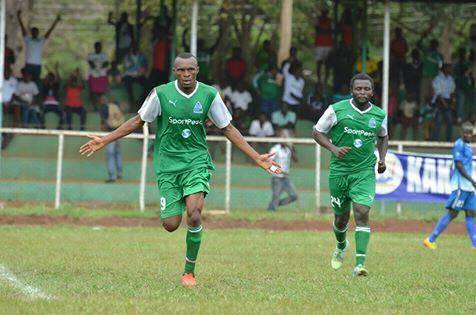 The Gor Mahia junior side put their title aspirations back on track when they beat Western Stima 2-1. Earlier on the Gor Mahia junior lads started their campaign on a sour note losing to Posta Rangers. This tournament represents Gor Mahia’s last chance for any silverware this season. Gor Mahia youth team beat Western Stima 2-1 to register their first win in two matches of the ongoing KPL U-20 tournament. Coach Maaurice Onyango was keen not to make any mistake after falling to Posta Rangers on the opening day and let his tactics walk the talk on Monday, December 19, at Camp Toyoyo grounds. Hillary Ojwang’ opened the scoring in the 35th minute guiding K’Ogalo juniors to a 1-0 lead at half-time before adding another goal in the second half. Nahashon Thiong’o was the lad with the second goal few minutes from the breather but his goal acted as a wakeup call to Western Stima who scored their lone goal in the 70th minute courtesy of Victor Ogendo. Hesbon Nyabinge’s hopes of gaining momentum to equalize never materialize as Gor Mahia proceted their lead to the final whistle. Gor Mahia kicked off the December edition of KPL U-20 tournament on a wrong foot falling 2-1 to Posta Rangers in a match played on Saturday, December 17 at Camp Toyoyo grounds. Being the August runners up, K’Ogalo juniors were heads up going into the match only to be subjected to a shock defeat by Rangers. George Kimani and Clinton Obasanjo finished the game in the first half with a goal apiece to dilute Nashion Thiongo’s consolation goal for Gor Mahia. All goals were clearly realized as a result of defensive error; goal keeper Ismail Otieno and defender Teddy Osok being the players in question. Their coordination at the defense cost K’Ogalo twice in the game to hand their opponents the easy win.